24+ Seeds. 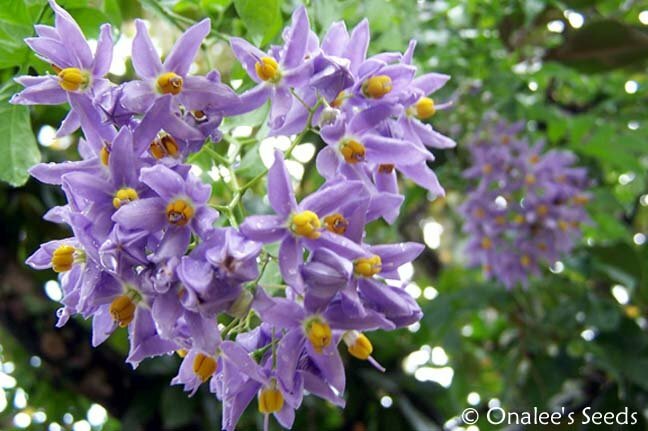 (larger quantities available) This is a well behaved shrubby climber that has lovely lilac flowers all summer long until frost. After the flowers, you''ll get another show from the perfectly round fruits that start off green and then turn to bright red as they ripen. Hardy to zone 8b; can grow as an annual or container plant in colder zones. 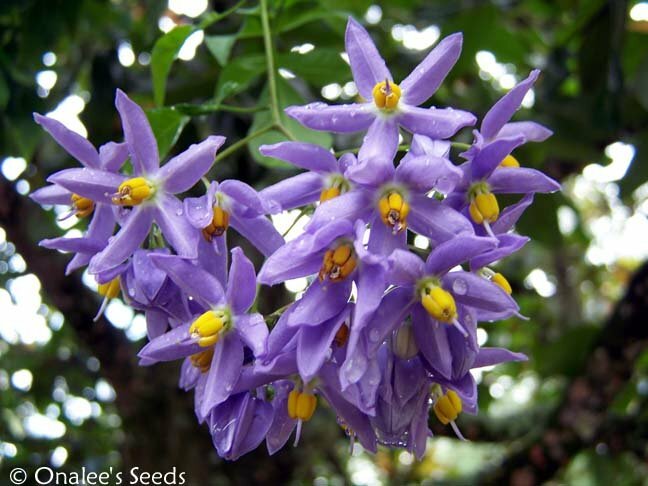 24+ fresh St. (Saint) Vincent's Lilac (AKA: Italian Jasmine, Potato Vine) Solanum seaforthianum Seeds. Larger quantities are available, see drop down box near 'order" button above. This is a well behaved shrubby climber that has lovely, lightly scented, lilac flowers all summer long until frost. Hardy to zone 8b and warmer, it can easily be container grown in northern climates. These will bloom the first year from seed if seed is started in the spring. This vine takes trimming well if you want to keep it more bushy, but really doesn't need much attention - it won't overtake your other plants or vines that are near it but still manages to put on a wonderful show each summer. After the flowers, you'll get another show from the perfectly round fruits that start off green and then turn to bright red as they ripen. 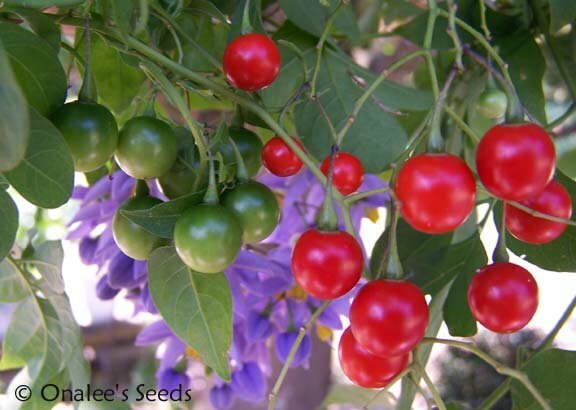 Plant the fruits for move vines or let the birds enjoy them - it's up to you! Grow in full sun or part/bright shade in sandy, well draining soil - don't over water or let water stand on them. Hardy zone 8b-11; can grow as an annual or container plant in colder zones.